Kansas pioneer, abolitionist, half-sister of John Brown. Born: May 19, 1816, Hudson, Ohio. Married: Samuel Lyle Adair, November 27, 1841. Died: February 6, 1865, Leavenworth, Kansas. Florella Brown, born May 19, 1816, in Hudson, Ohio, was the daughter of Owen and Sally Root Brown. 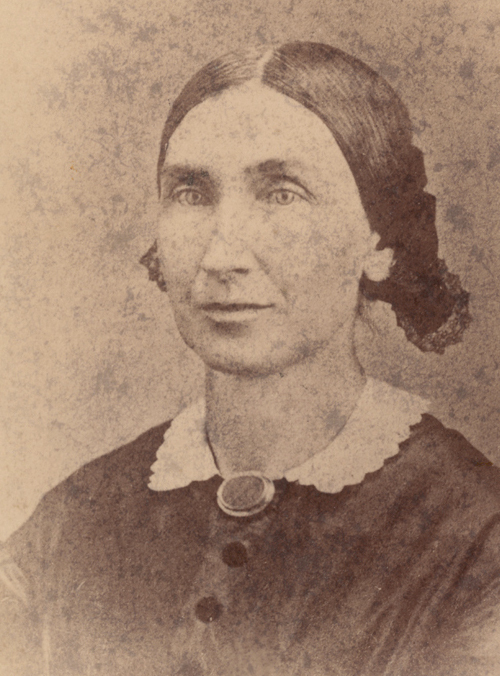 Owen's first wife, Ruth Mills, died in 1808, after giving birth to eight children, including abolitionist John Brown. Owen was a founder of Oberlin College, a leading antislavery school, which Florella attended. It was there that she met Samuel Lyle Adair. The couple was married November 27, 1841. As a Congregational minister, Samuel served at several churches in Ohio and Michigan before moving west in 1854 to become a missionary in Kansas Territory. The Adairs decided to settle in Osawatomie. They purchased for their home a log cabin built in 1855 by Samuel Glenn. Then in April 1856 they established the First Congregational Church in the community. Violent outbursts occurred in spring 1856 between proslavery factions from Missouri and free-state supporters from Kansas. Florella's half-brother John Brown joined his sons who were living in Kansas and became a leader for the antislavery movement. To protest the sacking of Lawrence in May 1856, he led what became known as the Pottawatomie Massacre, when five proslavery supporters were killed. The Battle of Osawatomie was fought in retaliation when proslavery forces attacked and burned the town August 30, 1856. Brown led 30 free-state men against 250 proslavery fighters. The Adair's cabin, located some distance northwest of the town, survived the battle. During her life, Florella displayed courage and commitment to the cause of freedom. She and Samuel had seven children, three of whom survived past childhood. She died February 6, 1865, in Leavenworth.